Oozing cottage chic, The Fish Cellar has been beautifully created and styled to present the perfect holiday home-from-home. 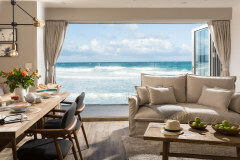 Located in the picture perfect Downalong area of St Ives, enjoy the luxury of the location as you explore the cobbled streets, white sand beaches and bustling harbour life all moments from your holiday door. The cottage is set over 4 floors with spacious dining and kitchen area, 2 relaxed living spaces and 3 beautiful bedrooms. From the moment you arrive, the thoughtful attention to detail and considered cottage atmosphere sets the holiday scene from the local artwork, bespoke pottery and stylish coastal inspired linens to the high standard of furnishings and luxury fabrics. 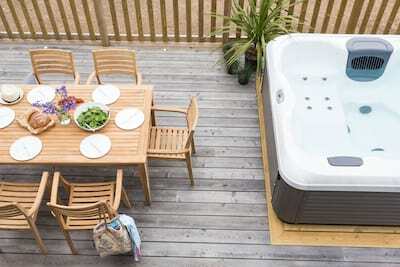 Arrive to the spacious ground floor with inspiring cottage kitchen and relaxed dining area. This versatile space comes alive with family and friends, a real hub to the house as you map out the days agenda over a lazy breakfast or simple early supper for children as you prepare a more indulgent dinner. The family bathroom is set just off the kitchen on the ground floor. Ascend the wooden stairs to the welcome comfort of the 1st floor, choose to unwind in the TV room with a favourite film or cosy up by the fire in the drawing room. Set on the 2nd floor are two bedrooms, a pretty cottage double bedroom adorned in soft muted hues (ensuite) and a childs bedroom with 2 x sets of white wooden bunks. A family shower room is convieniently located on the 2nd floor. Climb the stairs to the lofty Master bedroom and take in the sea views, this spacious double bedded room assures a quiet haven from holiday life below. From the 1st floor doors lead out onto a sit out balcony, perfectly placed to capture the afternoon sunshine and tea-for-two at the small cafe table and chairs. 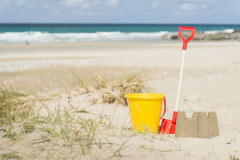 There is an outside hose, perfect for those sandy toes and beach kit. 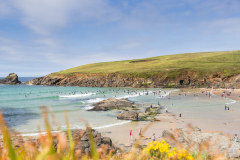 The Fish Cellar lies in wonderful central location with the blue surf and white sands of Porthmeor just moments away or the boutique shops and cafe within a short wander. 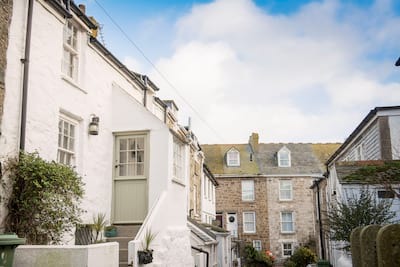 Ease into St Ives life as you pop out for freshly baked pastries and the morning paper, nip back for a lunch on the go or take a harbour stroll after dinner - this wonderful cottage becomes home for your party to come and go. Whatever the season St Ives brings a truly Cornish experience to your stay, warmer months bring the beaches to life and water sports or enjoy retail therapy in any of the artisan galleries, cafes and gift shops year round. 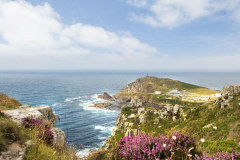 Hit the coast road and head West as the landscape changes into wild Cornwall or explore some of the other maritime harbours during your stay. 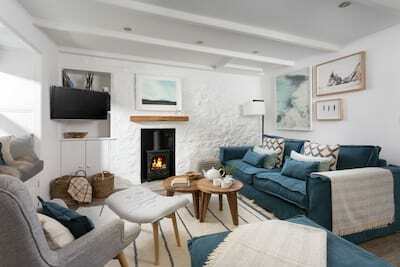 Beautiful interiors, luxury cottage ambiance and a plumb St Ives location - just some of the reasons The Fish Cellar will become your perfect coastal idyll. 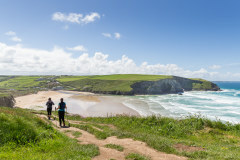 Whilst there is not parking directly at the property, a car parking permit is provided for the nearest long stay public car park, a short walk away. The master bedroom is set within the eaves of the cottage with limited head height in places. 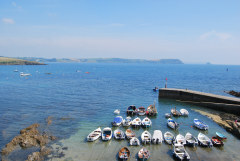 This is a Cornish Gems serviced property. 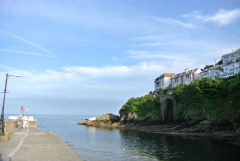 The property changeovers, welcome gift and maintenance are managed in-house by the Cornish Gems team. Charge: Please refer to the booking terms. We were delighted with the feel and layout of the cottage. The location was great: convenient for the beaches and the shops. We loved the decor, it was fresh AND beautifully clean with everything we needed. A great week. Great location . It’s well equipped and good layout . Lovely interior and comfortable. Very inviting. We love this cottage and have returned twice now. Very well presented, spacious accommodation, good facilities all round. We loved every moment of our stay in st Ives, the property was excellent, we couldn't fault it, it made our stay very comfortable. We are already looking at properties for 2017. We visited the property last year and have booked again for next year, so we must like it! Best property we have stayed at in St Ives over the past 6 years, good layout, well presented property, good location. Location, property, contents/facilities & cleanliness excellent. Had a couple of questions whilst there with office which were dealt with pleasantly & efficiently. Met some staff on leaving who were absolutely lovely! Thank you for a fantastic time. Lovely property and lovely staff at Cornish Gems. 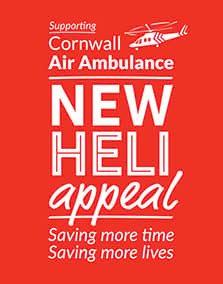 Fantastic place and great communication and help from the Cornish Gems team. We all had a super time in The Fish Cellar - so clean, fresh and relaxing! We really didn't want to leave, we felt so much at home! Thanks very much Owners and Cornish Gems! We didn't realise CG had a coffee shop but will certainly visit next time. 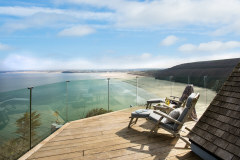 Excellent property and great service from Cornish Gems staff. Overall we had a very good break - the cottage was perfect for what we wanted. Warm; comfortable; good location; had everything we needed.